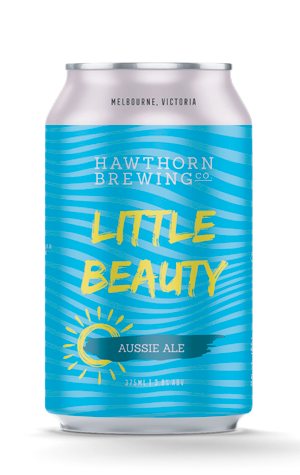 The first canned release and first new core range beer from Hawthorn since it acquisition by the Australian Venue Co is Little Beauty, a beer that joins the ever-busier local mid-strength market. Like its stablemates, First Bounce and The Local, it's brewed with all-Australian ingredients too – all of which are listed on the cans. It pours pale and hazy in that familiar Aussie summer ale style, serving up aromas that flit between orange, lime and pineapple. Those flavours aren't as potent on the palate, where sweetness is also restrained and the hops deliver a slow-building bitterness of a pithy citrus bent.